good table. not super heavy. I think they could be a little heavier so they don't tip or blow over. I bought two for a client and they're super happy. This Cape Coral outdoor bar table by Christopher Knight Home is a great addition to any backyard or patio. 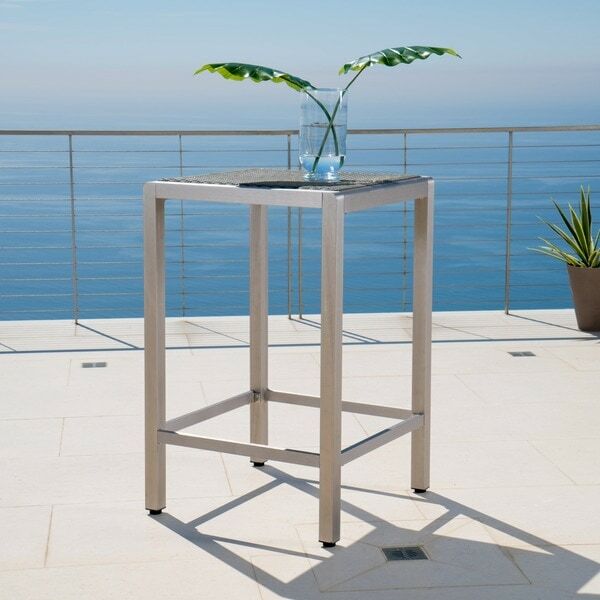 The table features a durable wicker top and a light-weight aluminum frame. The wicker top is able to endure the elements and survive the harshest backyard weather so you can have some fun in the yard all year long with this bar table.